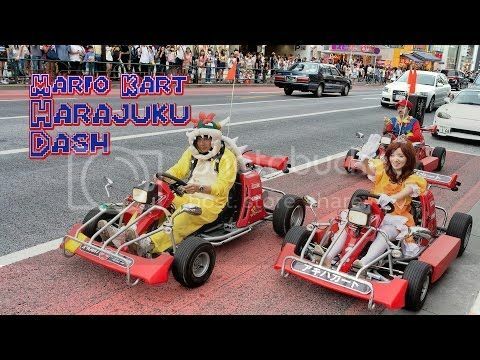 Real life Mario Kart cosplayers driving through the streets of Harajuku, Tokyo, Japan. We see these people driving Mario Karts around Harajuku and Shibuya quite often. They are always really fun and friendly.